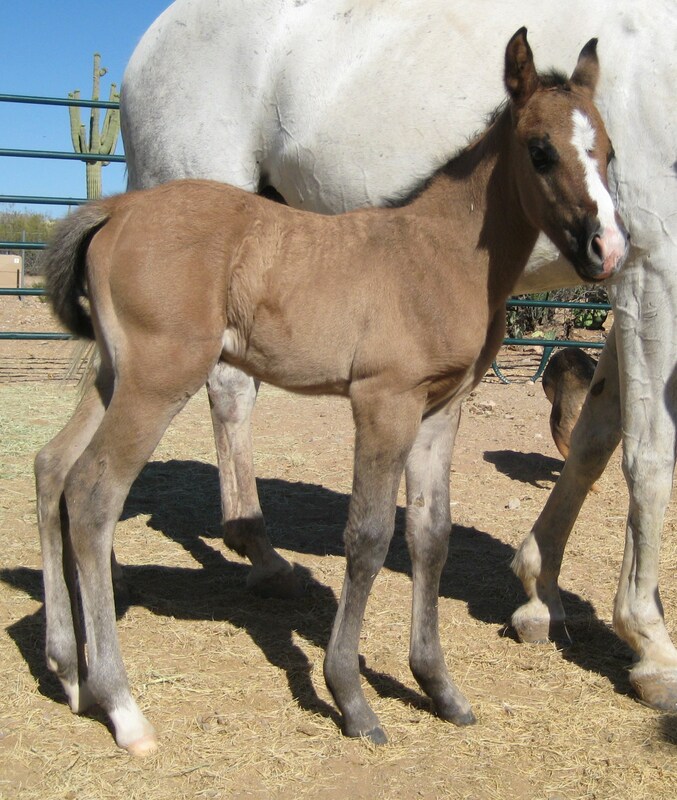 "Wyatt" is Jay's first foal of 2008 is a Grullo colt out of a Gray mare. 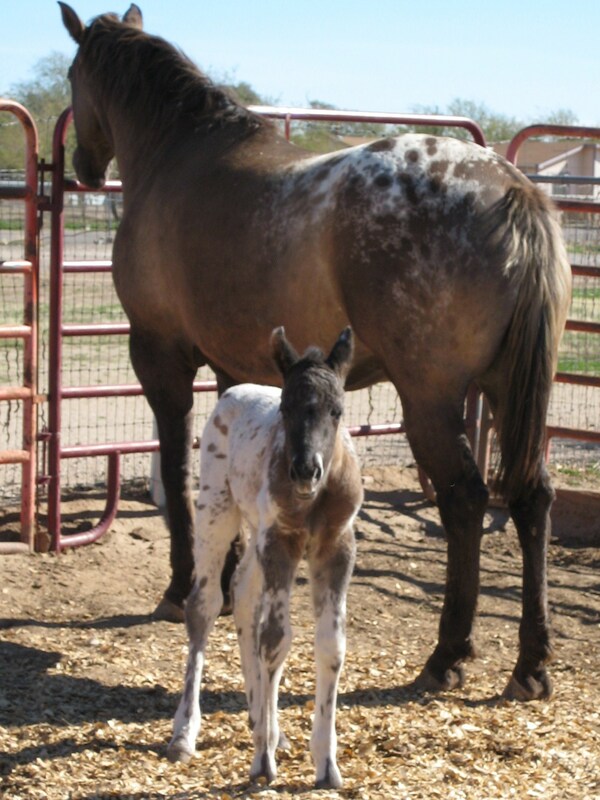 Jay's first Appaloosa foal. WOW!! Look at that color! 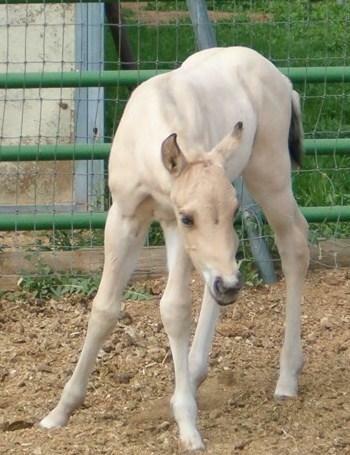 "Comanche" is a leopard Grullo colt out of a Grulla Appy mare. 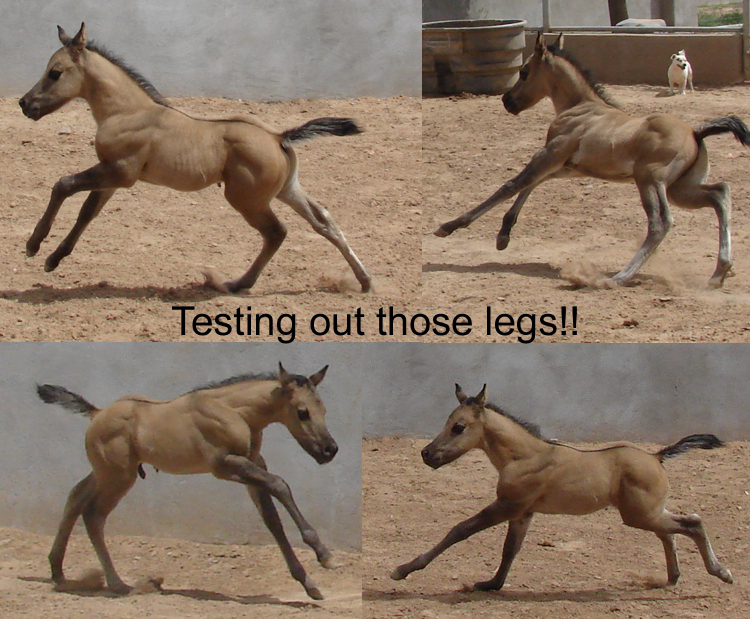 "Luna" is an 08 grulla filly - photo at 4 mo. 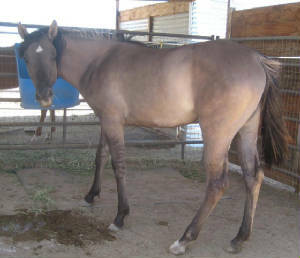 She is out of our Grulla mare "Bonnie". See picture to the right and slightly up for updated photo. 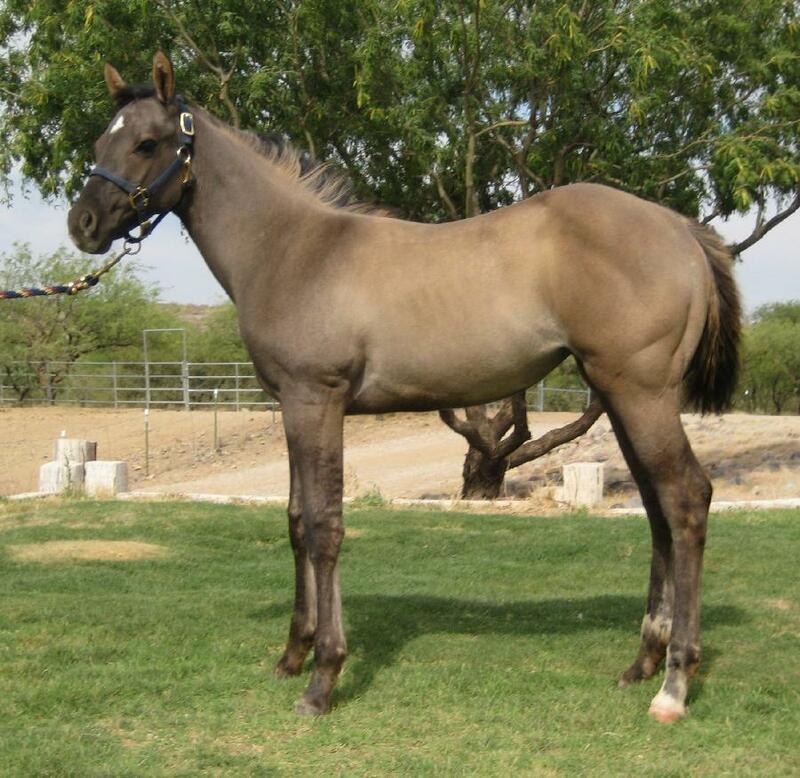 This is "Luna" - "Bonnie's 2008 grulla filly - photo taken at 16 mo old. 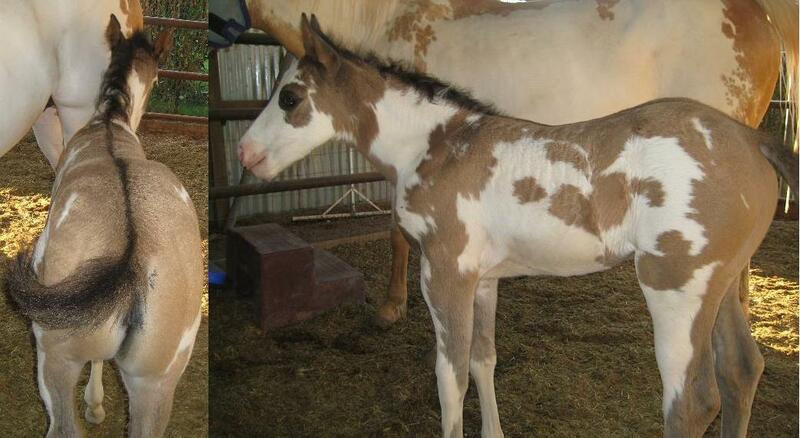 "Rosie" is a Dunskin filly out of our Mare "Bella". She is more of a buckskin color then this picture appears. She is stunning and very unique!!! Another Filly out of a Cremello mare. She has been genetically tested and she is a DUNSKIN - A dun w/ the cream gene. 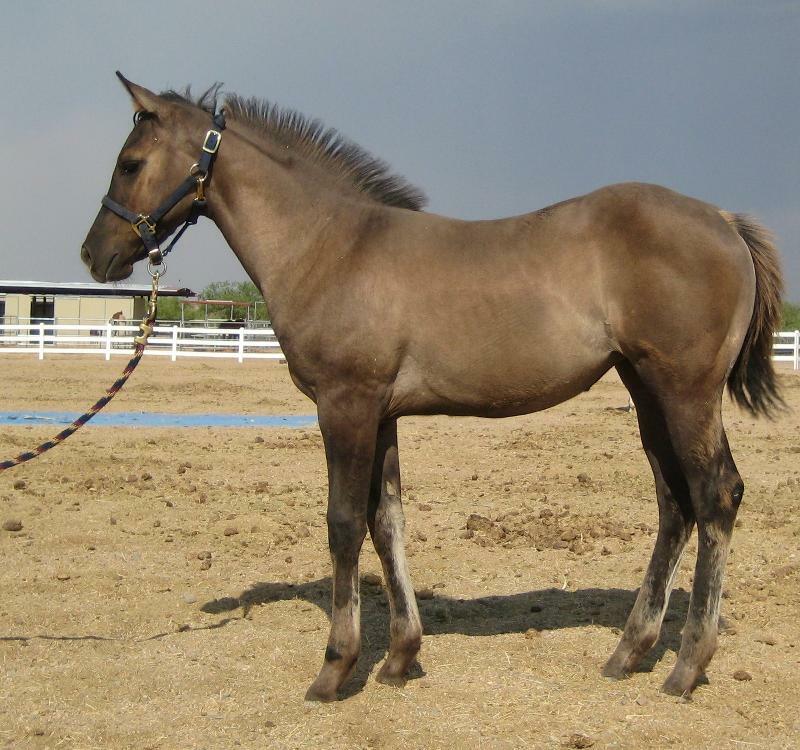 "Candy" is a Grulla filly out of our Amber Champagne Mare "Lady". She is a cute, built and very athletic!!! Finally another colt. "Dash" is definitely a Grullo. He is out of a Grulla mare. 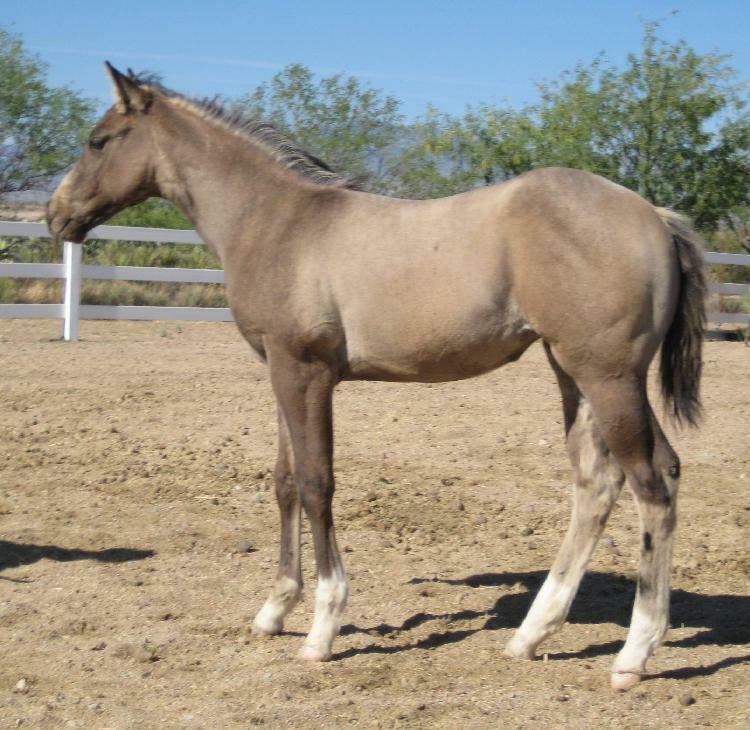 This flashy Grulla/Overo filly is out of a Palomino/Overo mare. This Dunskin Colt is out of a Perlino Mare. 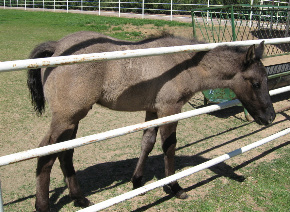 "Jaz" is a grullo colt out of a gray mare.